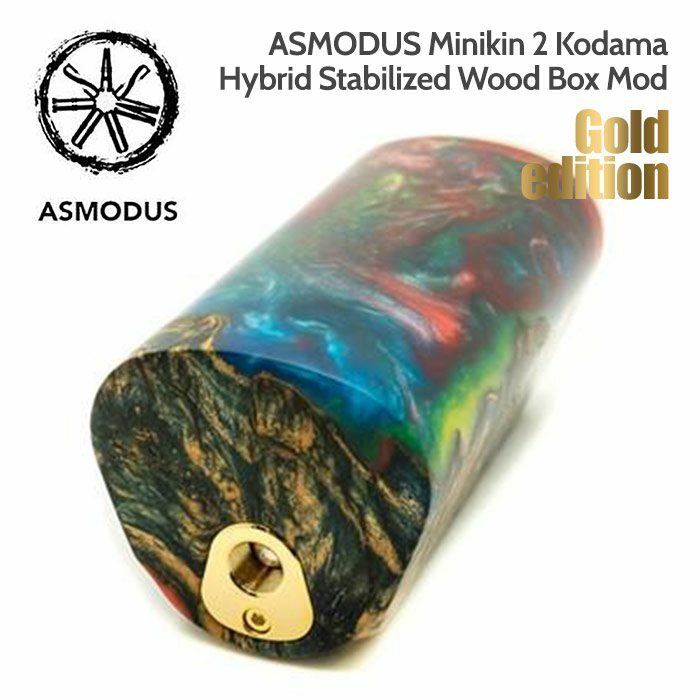 The Asmodus Minikin 2 Kodama is a high-end mod made of stab wood and multi-coloured resin, supplied in a wooden Asmodus presentation box. 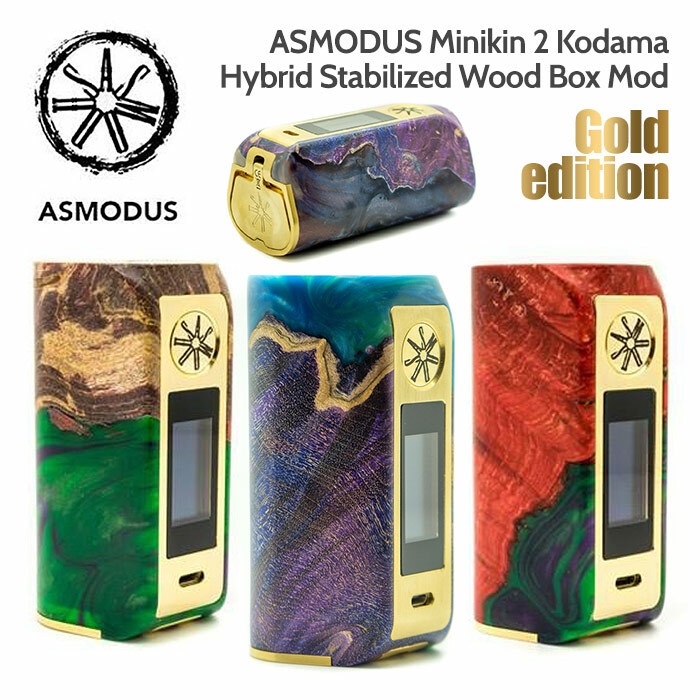 The Kodama is variation of the standard Minikin V2. Stabilised wood is less prone to warping and cracking than natural, untreated wood. Stabilized wood is more durable and much less likely to develop problems in the future, all while boasting a unique design. However, be VERY careful that you do not drop onto a hard floor as you may crack the body! 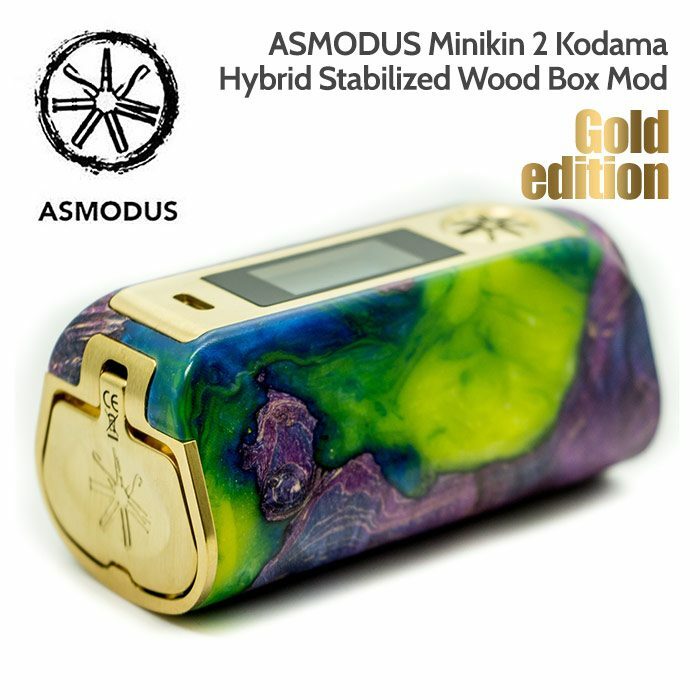 IMPORTANT: Due to the nature of the stabilised wood and the multi-coloured resin used in the Asmodus Minikin 2 Kodama the colours and pattern of the item you receive will vary from the photos listed. Photos are just a guide. 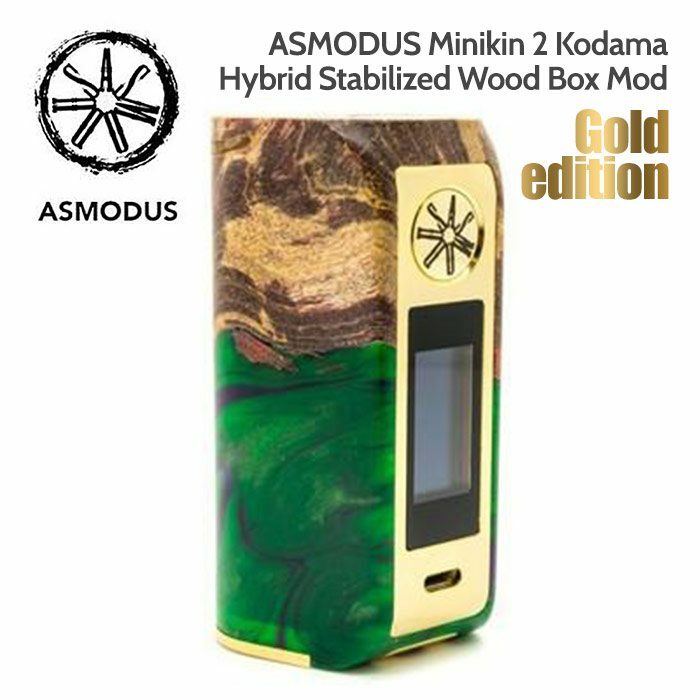 The Asmodus Minikin 2 Kodama is powered by a GX-180-HT/UT chip which incorporates the same battery power saving capabilities as its predecessors but features a new wattage cap of 180 watts and touch screen support! 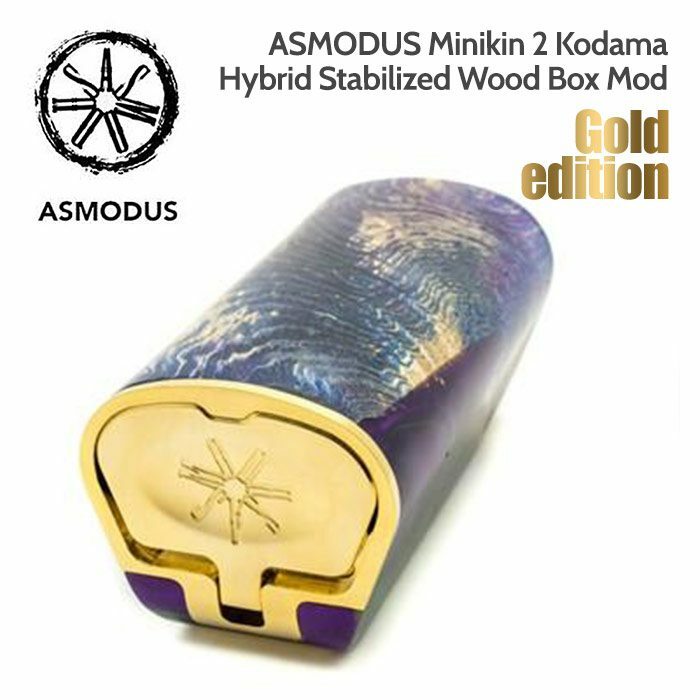 It has a hinged release door located at the base of the mod (this is different to the standard Minikin 2). It locks into place and creates air vents once the door is locked (the gaps are deliberate). 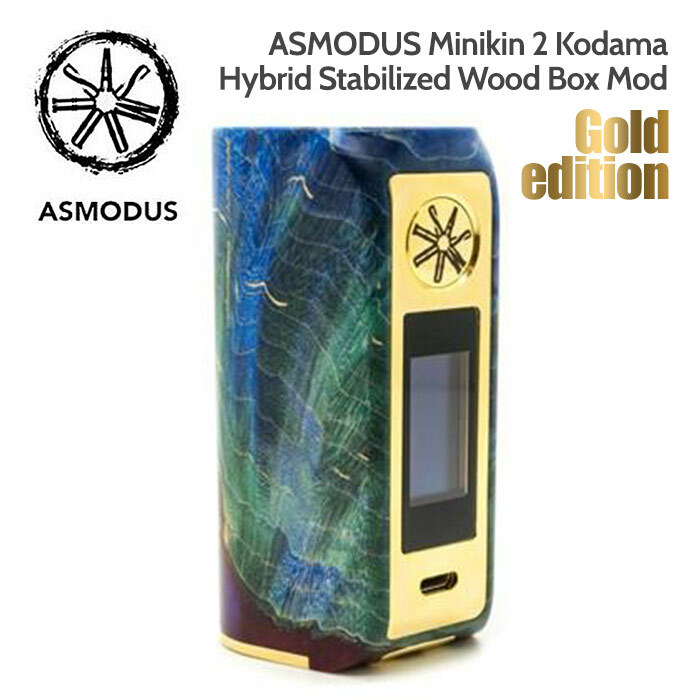 The Asmodus Minikin 2 Kodama requires two 18650 high-drain vaping batteries (not included), which you can buy HERE. Bright OLED touch screen control (variable brightness). Swipe down on the touch screen to access the settings (auto-locks your settings). The Wood and Resin body is solid, not a veneer covering. Large low profile fire button. Wattage range (TC Mode): 5.0 – 120watts. Atomiser ohm range: 0.1 – 2.5 ohm. Max output voltage: 7.5 volts. Temperature control range: 212 – 572F / 100 – 300C. Neatly fits a tank/RDA to the edge that is up to 25mm wide.